Smaller window frames prove a challenge for weighted box sash windows, but there is a solution. HINSON Custom Made can use per-tensioned spiral balancers, instead of traditional weights, to aid opening and closing. 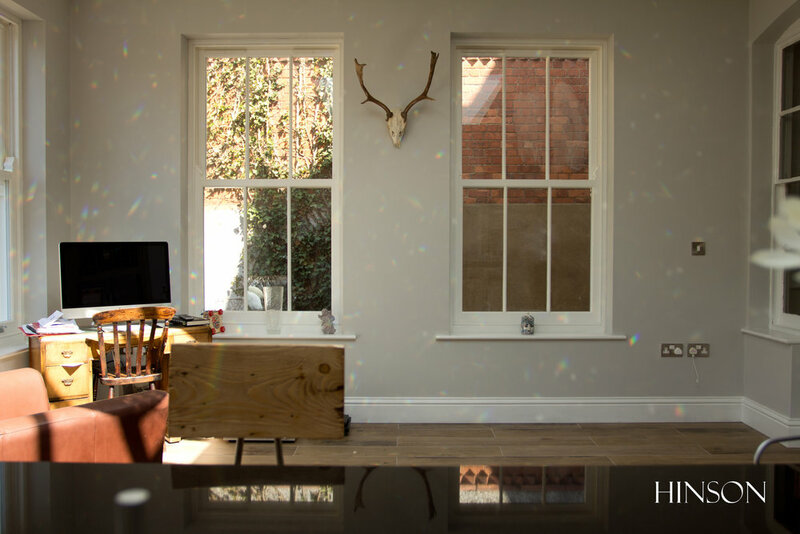 This option allows a sliding sash window to be installed in a tighter modern window reveal. A wooden spiral balanced sliding sash window is traditional in its appearance, allowing your property to stay true to its era, but is a more practical option for certain renovations. When challenges threaten your desire to reinstate character in your home, our custom made windows can bring your project back on track.